From the very beginning, there was something off about Sunday’s unprecedented countercoup purge unleashed by Mohammad bin Salman on alleged political enemies, including some of Saudi Arabia’s richest and most powerful royals and government officials: it was just too brazen to be a simple “power consolidation” move; in fact most commentators were shocked by the sheer audacity, with one question outstanding: why take such a huge gamble? 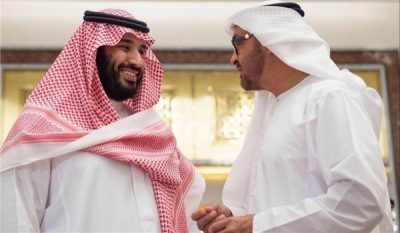 After all, there was little chatter of an imminent coup threat against either the senile Saudi King or the crown prince, MbS, and a crackdown of such proportions would only boost animosity against the current ruling royals further. Things gradually started to make sense when it emerged that some $33 billion in oligarch net worth was “at risk” among just the 4 wealthiest arrested Saudis, which included the media-friendly prince Alwaleed. As we reported yesterday, the WSJ writes that the country’s central bank, the Saudi Arabian Monetary Authority, said late Tuesday that it has frozen the bank accounts of “persons of interest” and said the move is “in response to the Attorney General’s request pending the legal cases against them.” But what is more notable, is that while we first suggested – jokingly – on Monday that the ulterior Saudi motive would be to simply “nationalize” the net worth of some of Saudi Arabia’s wealthiest individuals, now the WSJ confirms that this is precisely the case, and what’s more notably is that the amount in question is absolutely staggering: nearly 2x Saudi Arabia’s total foreign reserves! While much of that money remains abroad – and invested in various assets from bonds to stocks to precious metals and real estate – which will complicate efforts to reclaim it, even a portion of that amount would help shore up Saudi Arabia’s finances. A prolonged period of low oil prices forced the government to borrow money on the international bond market and to draw extensively from the country’s foreign reserves, which dropped from $730 billion at their peak in 2014 to $487.6 billion in August, the latest available government data. Of course, there is a major danger that such a draconian cash grab would result in a violent blowback by everyone who has funds parked in the Kingdom. To assuage fears, Saudi Arabia’s minister of commerce, Majid al Qasabi, on Tuesday sought to reassure the private sector that the corruption investigation wouldn’t interfere with normal business operations. The procedures and investigations undertaken by the anti-corruption agency won’t affect ongoing business or projects, he said. Furthermore, the Saudi central bank said that individual accounts had been frozen, not corporate accounts. “It is business as usual for both banks and corporates,” the central bank said. The government earlier this week vowed that it would arrest more people as part of the corruption investigation, which began around three years ago. As a precautionary measure, authorities have banned a large number of people from traveling outside the country, among them hundreds of royals and people connected to those arrested, according to people familiar with the matter. The government hasn’t officially named the people who were detained. … but the mere shock of a move that would be more appropriate for the 1950s USSR has prompted crushed any faith and confidence the international community may have had in Saudi governance and business practices. The biggest irony would be if from this flagrant attmept to shore up the Kingdom’s deteriorating finances, a domestic and international bank run emerged, with locals and foreign individuals and companies quietly, or not so quietly, pulling their assets and capital from confiscation ground zero, in the process precipitating the very economic collapse that the move was meant to avoid. Judging by the market reaction, which has sent Riyal forward tumbling on rising bets of either a recession, or devaluation, or both, this unorthodox attempt to inject up to $800 billion in assets into the struggling local economy, could soon backfire spectacularly. All images are from Zero Hedge.